Just when you thought there weren't any more Shanghaied shows this season, ASOC proudly presents Shanghaied Topsey Turvey. Topsey Turvey is a twist on the Astor Street Opry Company's Award Winning, Historical, Hysterical, Broadway-Style, Musical Melodrama SHANGHAIED IN ASTORIA that will keep you in stitches as the cast of 2018 (along with a few special guests) attempt to see what happens when you they step into each other heels (and wigs) to have boys playing girls and the girls playing boys! 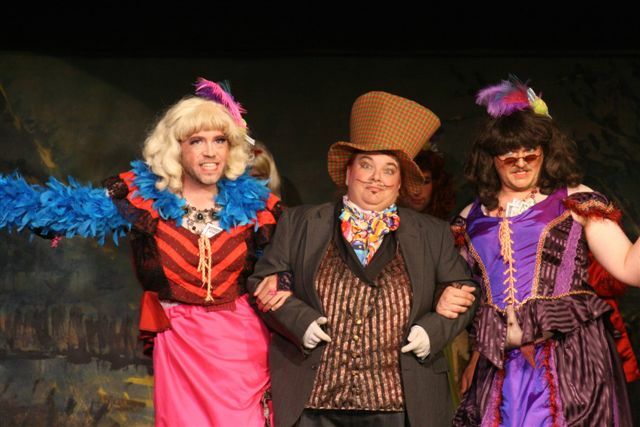 Yes, this is the most outrageous, original, entertaining event this side of Vernonia! But definitely fun and absolutely silly time! This unique show runs TWO NIGHTS ONLY, September 14th and 15th with the box office opening at 6:00 pm, doors at 6:30 pm and show time 7:00 pm. Tickets are $20 for front row seats, all others $15.